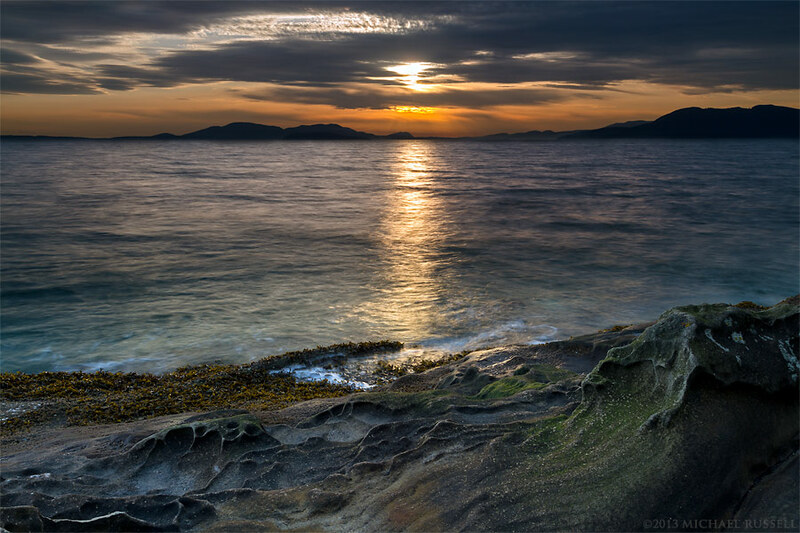 Sunset over Lummi Island with some sandstone Tafoni at Clayton Beach in Larrabee State Park – Bellingham, Washington State, USA. In March I was lucky to have Alan Majchrowicz give me a tour of Larrabee State Park in Washington State. Thanks again Alan! We were lucky and had some good light at the end of the day. 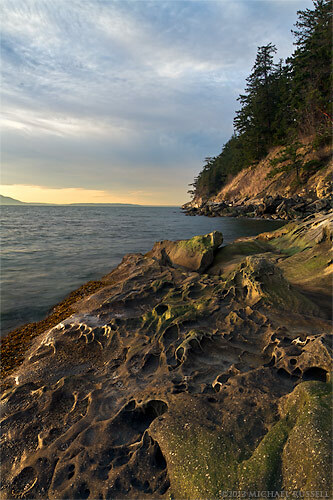 The rocky shores just south of Bellingham are not like the ones I’ve spent more time on around Vancouver – these are mostly sandstone. Much nicer to walk on the sandstone – its like built in grip for your shoes! The water has also eroded the rock surfaces into all sorts of interest shapes and patterns which makes choosing a composition a bit difficult – there are so many great possibilities! Sunsets like this are not something I have done a lot with in the past, and I even brought out the 6 stop ND filter for some of it. Waiting for a 116 second exposure is not something I am used to – but I quite like the results. I will have to do much more with that filter in the future! 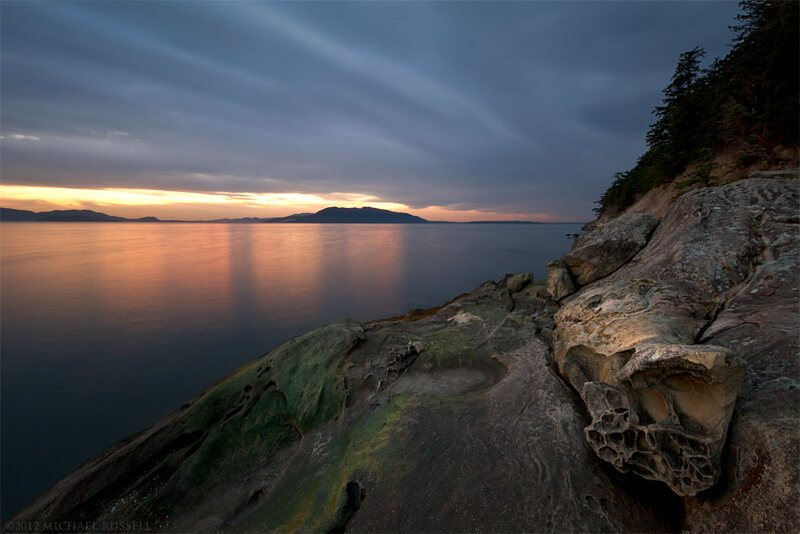 For more photos of Washington State visit my Washington State Collection in my Image Library.